My Buzzing! book is published! 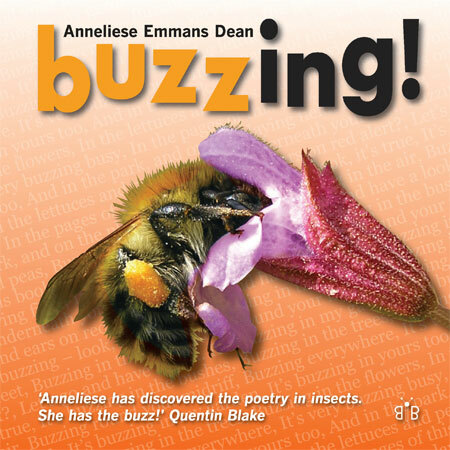 Great excitement: my book Buzzing! 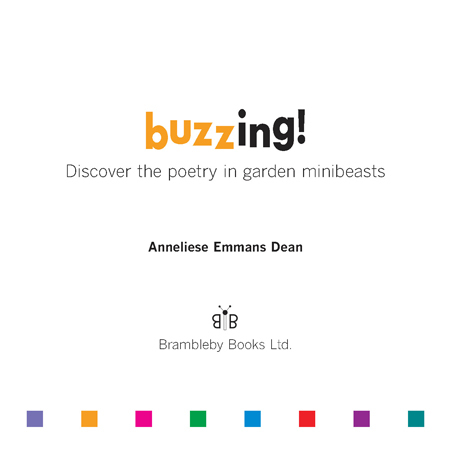 (Discover the poetry in garden minibeasts) has just been published, by Brambleby Books! 160 full colour pages, over 170 close-up photos of garden minibeasts (that it took me around 8 years to take), 67 edu-taining minibeast poems and oodles of factabulous minibeast facts. For children aged 6-12, and for all grown-ups who are young at heart! And, importantly, it’s printed in the UK on FSC paper by an environmentally responsible printer. And … stop press: it’s just been selected as a National Insect Week recommended teacher’s resource and book for children. Another Stop Press: Buzzing! has now been nominated for the Carnegie Medal, one of the most prestigious awards in children’s publishing! Many thanks to Nicola and Hugh Loxdale of Brambleby Books and to Tanya Warren and Sara Fautley of Creatix Design for making the book happen. 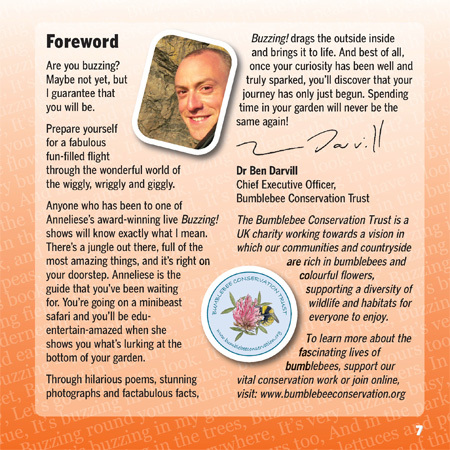 And to Ben Darvill of the Bumblebee Conservation Trust for his enthusiastic support. Previous Thank You Le Cateau Primary School!